Missouri Library Association – a 501(c)(3) nonprofit educational organization operating to promote library service, the profession of librarianship, and cooperation among all types of libraries and organizations concerned with library service in the State of Missouri. Founded in 1900, MLA is proudly beginning a second century of service. This year your Missouri Library Association conference is focused on being BOLD within our communities in UNCONVENTIONAL ways. We are committed to providing attendees the opportunity to make new connections, experience new ideas, and innovate together for better libraries. Please use this form to submit your proposal for the 2019 Missouri Library Association Conference, “Unconventional: Bold Ideas for Better Libraries,” October 2 – 4 in Kansas City, MO. We are accepting submissions for pre-conference sessions, breakout sessions, poster sessions, and table talks. ALL PROPOSALS ARE DUE BY WEDNESDAY, MAY 31, 2019. Your conference coordinators will distribute these proposals to MLA Communities of Interest (CIs) as appropriate for sponsorship or co-sponsorship. Based on physical space and available rooms at the conference site, the conference coordinators will recommend the slate of selected programs. This is a great opportunity to share with your fellow library folks in Missouri! Others may find new and fascinating something that seems commonplace for you. Showcase an event or program your library is doing, illustrate a problem your institution faced and how you solved it, do a genre presentation, talk about your favorite technology for particular library tasks, highlight the awesome leadership training program you attended…the possibilities are endless! PLEASE NOTE: Presenters are required to register for the conference. Vendors who would like to present at conference must partner with a library/librarian and must register for the conference under the full conference, single day or single session guest presenter pass. Submit your proposals today here! Questions? Send them to 2019mlakc@gmail.com. 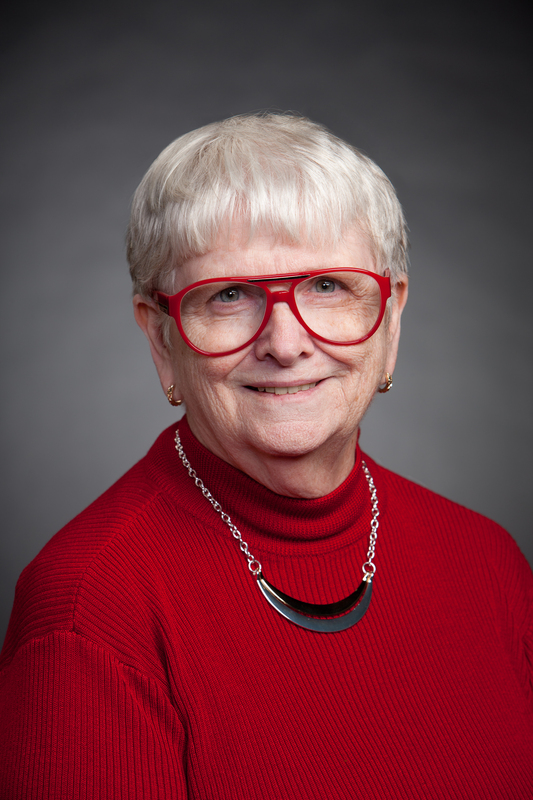 Meet our most recent Featured Library Employee for the Missouri Library Association, Donna Riegel! I’ve been “working” in libraries since just after the flood…ok…maybe not quite that long. I started out as a page, so I guess you could say I’ve progressed fairly well. With multiple degrees, I’ve spent a lot of time in libraries…so decided I might as well work in them, too. When given the opportunity to get a library degree and a promotion, I couldn’t say no. Over the years I have been a librarian in a corporate setting, in an academic setting, and in local, county, and, now, state libraries. My first impulse was to say “the paycheck”, which, while true enough, isn’t the major motivation. I like my job and the people I work with. There is a shared vision of serving the people of Missouri with the best resources we can. I have worked in a number of libraries, all with their own unique qualities; however, Wolfner staff have a passion for their patrons that I have rarely seen anywhere else. These people care about the patrons in a truly personal way. I will miss that when I retire. Making it all work together. Taking the best of a situation and making it truly amazing. Before coming to Wolfner, I had never worked with a state agency, nor had I worked with special clientele. There was no way I was prepared for the awesomeness of staff and patrons. Working at Wolfner is a true career…a means of serving the needs of our patrons in ways they didn’t imagine. Getting the message out is also important. We serve only a small percentage of those eligible for service. I have been fortunate to have had many mentors along the way…even if they didn’t know they were mentors. I’ve learned something from every boss I’ve worked for…most of the time, learning great things; sometimes learning how not to act as a manager. Barbara Reading, who was the State Librarian who hired me, was one of the best. There were probably times when she questioned whether she had made the right choice! I like to believe I lived up to her expectations. I’m currently reading the Miranda James’s Cat in the Stacks mystery series. It’s light reading, which is what I need after a day at the office. And its protagonist is a librarian with a cat. What else do you need! It’s kinda like Jessica Fletcher…way too many people dying in her vicinity…but keep ‘em coming! On a more serious note, I am “hooked” on Finding Your Roots on PBS. I am always astounded on how much information they can come up with for their subject celebrities. Our Virtual Advocacy Campaign will be available through tomorrow, March 7th. If you were unable to join us in Jefferson City for Library Advocacy Day, you can still reach out to your legislators through our campaign, found here. Follow the link and fill out the form. The system will automatically select your local representative and senator. On the next screen, you will see those legislators and the message that will be sent on your behalf. We worked with ALA to create a standardized message to make this first foray into virtual advocacy easy for everyone. All you need to do is click Submit and your message (email) will be sent! Thank you for all that you do, and let me know if you have any questions. Register online now for the sixty-first annual Missouri Conference on History March 6-8 at the Holiday Inn Country Club Plaza in Kansas City. 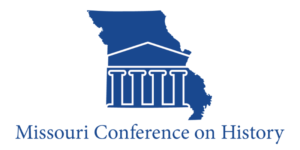 The conference, hosted by the University of Missouri–Kansas City and Park University, brings together scholars, teachers, and other professional historians to share in the presentation of research, to exchange information on teaching and curriculum, to consider ways to promote the welfare of the profession and general interest in history, and to discuss other concerns common to all historians. Standard Registration (2/13/19–2/20/19): $55 ea. Late Registration (2/21/2019 or later): $65 ea. Registration includes all conference sessions, an array of networking and evening activities, and additional events that invite attendees to experience and celebrate local history for a small fee. In 2019 the Missouri Humanities Council is offering a new program of financial assistance to both undergraduate and graduate students. Travel grants will cover the conference registration fee, lodging at the conference hotel, and up to $150 of additional related expenses. Learn more. All presenters and participants must register for the conference. Start networking with other history professionals now on social media by using #mchkc19! As librarians, providing equitable access to all patrons should be a top priority. The patrons visiting our libraries should reflect the diversity of the communities we live in. Unfortunately, there are many populations that go underserved. How can we broaden our reach to better serve all our community? Join us on Thursday, February 28 for an Amigos Library Services online conference, Open Doors: Reaching Underserved Populations, where we will explore methods and best practices for reaching an important part of your community. Kicking off our conference is keynote speaker, Dr. Michele Villagran, consultant, presenter, and founder of CulturalCo LLC. Her keynote will explore how cultural intelligence makes a difference in the information profession and asks the question, “are you culturally competent?” Throughout the rest of the day, a variety of peers and experts will present on a diverse range of topics, with each time slot offering three different programming options. Don’t forget, as a benefit of Amigos Library Services membership, attendance is FREE at all online conferences! For more information about this conference, contact Megan Bryant at bryant@amigos.org or 800-843-8482, ext. 2896. State and local governments are organizing for the upcoming 2020 Census, and libraries should have a seat at the table. Governors, state legislators, mayors, philanthropic funders and other leaders across the country are forming Complete Count Committees and allocating resources to help get communities get counted. These efforts offer library staff and supporters opportunities to increase awareness of library services, strengthen community relationships, and support libraries’ work related to census outreach. Hear from librarians who have been involved with Complete Count efforts and learn about new advocacy resources from ALA’s Public Policy and Advocacy team. Our guest speakers will be Michelle Perera, Director of the Pasadena (Calif.) Public Library; Jennie Stapp, Montana State Librarian; and Diane Foote, Executive Director of the Illinois Library Association. We will also be joined by Gavin Baker, ALA’s Assistant Director of Government Relations and Larra Clark, ALA’s Deputy Director of Public Policy. Please share with library advocacy leaders in your state. The University of Central Missouri’s James C. Kirkpatrick Library was awarded an LSTA Continuing Education grant to fund training through Amigos Library Services. One of these training opportunities is EAD3: The Basics. This is a four-part web-based workshop on constructing online archival pathfinders. We have a minimum of 20 seats and will only be using 5 or so ourselves, so we would like to open this up to our colleagues across the state free of charge. Information is below. If you have interest in attending, please RSVP to me at welker@ucmo.edu no later than March 29, 2019. Registration links will be sent out at that time. Once the workshop fills up, we will develop a waiting list. Join us Wednesday, May 15, 2019 and discover how you can find and empower the leader within yourself and your staff! This one-day conference gives librarians and library staff the opportunity to learn, share insights, and discuss best practices on leadership development techniques, strategies, issues and opportunities. The conference will consist of keynote speakers; concurrent break-out sessions; and the annual Amigos Member Business Meeting carried out by our leadership. If you can speak on one of these topics, or have another topic in mind, please submit your proposal by March 6, 2019 at https://www.amigos.org/node/5574. Don’t worry if you’ve never presented online. It’s easy, and we are happy to train you and will provide technical support during your presentation. For more information about this conference, contact Tracy Byerly at byerly@amigos.org or 800-843-8482, ext. 2893. Join us on the beautiful Logan University campus to learn new skills, hear about the use of technology in libraries of all types and connect with colleagues from throughout the area. Wednesday, March 6th , 9:00 a.m. – 3:30 p.m.
Payment by Credit Card or Check accepted. Registration deadline is March 1st. The cost for members is $25 , $40 for non-members, and $15 for students. Morning refreshments and a buffet lunch will be provided. Please note: Logan University Purser Center is often chilly, we advise you to dress in layers. For information regarding inclement weather, please click here. For more information, please visit the slrln.org website! Seeking Submissions for March 2019 MO Info Issue! Please send articles about new additions or promotions of staff, upcoming training sessions, innovations in library programming, and the like for the March MO Info issue! The deadline for submissions is February 15, by 5:00pm. To facilitate the Committee’s production process, please follow the submission suggestions below. Include [MO Info] in the subject line of an email to moinfonews@gmail.com. The issue will be published on March 15th. Please feel free to contact me directly if you’ll need an extension.